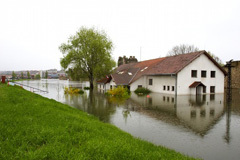 While it is a common disaster to encounter, flooding is a stressful, messy problem to deal with that requires professional services to restore and dry out any damaged building materials. Typical water damage sources include malfunctioning appliances, pipes that have burst or are leaking, hurricanes, rainstorms, and others. There are natural ways to help dry your home or building after flooding, but air circulation on its own isn’t enough. Target Restoration can be reached 24/7 to provide emergency water damage restoration services in Spring, TX. Our professionals are IICRC-certified and highly-experienced to provide thorough water extraction and repairs for damaged building materials. We will work diligently to ensure all affected areas of your home or building are restored, giving you peace of mind during a stressful situation. No matter what caused it or where it began, water and moisture will spread to various parts of your property. 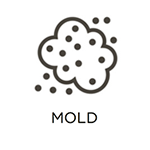 Within 24 hours, mold can even develop and spread further. Target Restoration is accessible 24/7 to immediately react and help you contain any damage, dry out your property, and disinfect affected materials to stop mold growth. We can also be trusted to do structural repairs, removal of drywall and furnishings that have been permanently damaged, and installation of replacements for the damaged materials. To ensure your satisfaction, when you work with Target Restoration, we allow you the opportunity to confirm that our technicians and Master Water Restorers are IICRC-certified before any work begins. When it comes to our Master Water Restorers, each of them have at least seven years of experience with damaged building material restoration, so you can trust they will do an effective job with restoring your property. We also know that privacy is important, so we are HIPPA-compliant. 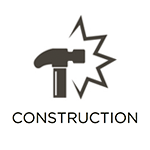 Additionally, we follow a strict group of health, safety, and legal requirements to ensure the best long-term results for you and your home or building. When we have completed work on your property, we go to your insurance provider and work with them, providing an intricate assessment of the work we did to guarantee a smooth claims process. Initial inspection: The moment we arrive, our technicians do a thorough inspection of your entire property. 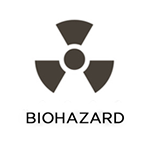 This ensures we find and remove all dangerous contaminants. Afterwards, we estimate the scope of the water damage so we can figure out the best plan for restoration. 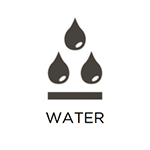 Drying process: We start extracting water immediately and install restoration equipment to begin the drying process. Our mapping technology and moisture meters let us find all of the moisture particles and remove them. Using air movers, we are able to force circulation throughout your property. Content cleaning: When the building has been dried and all water has been extracted, we then restore damaged valuable personal items such as antiques, documents, family heirlooms, and more. Deodorization: Lingering odors are often left behind after disasters, especially when excess water and flooding are involved. We utilize hydroxyl and ozone technology to tackle and eliminate the odor from each building material. Structural repairs: Whether your carpeting, insulation, subflooring, or other elements need repairs, our professionals are qualified and experienced, so they can handle such fixes. 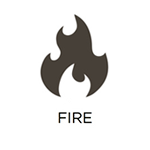 Because of this, we are also able to manage all parts of the restoration process. After your property has suffered water damage, you shouldn’t be hesitant to contact emergency restoration services. No matter the source of the water damage, it will spread to new parts of the property, cause more damage, and make way for mold growth. At Target Restoration, our technicians and Master Water Restorers are IICRC-certified and are trained to act right away to restore damaged properties to their original conditions. Target Restoration can be reached at (713) 966-6064 24/7 for professional water damage restoration services in Spring, TX.